Rabbi Pesach Wolicki serves as the Associate Director of the Center for Jewish-Christian Understanding & Cooperation (CJCUC) as well as heads its Blessing Bethlehem program, an initiative that supports and preserves the Christian community in the birthplace of Christianity by providing weekly food deliveries to Christian Arabs in need. He is completing a devotional on Psalm 113-118 (known as Hallel) entitled Cup of Salvation that will be published in Fall of 2017 as part of CJCUC’s Day to Praise prayer project, where Jews and Christians pray the Hallel together on Israel’s Independence Day. on the topic of Jewish-Christian relations appear regularly in Israeli media. He is known and appreciated for his engaging, welcoming, and interactive teaching style. He is a regular lecturer at CJCUC’s weekly Bible study programs hosted at the Bible Lands Museum in Jerusalem. Rabbi Wolicki and CJCUC’s Executive Director, David Nekrutman have just launched a new Bible podcast – Cup of Salvation – that explores Psalms 113-118, produced by Jewishcoffeehouse.com. Prior to joining CJCUC, Rabbi Wolicki served for twelve years as Dean of Yeshivat Yesodei HaTorah, a post secondary academy of higher Torah learning. He is widely respected in the world of Jewish education as an innovator. He is known and appreciated for his engaging, welcoming, and interactive teaching style. He is a regular lecturer at the CJCUC weekly Bible study programs hosted at the Bible Lands Museum in Jerusalem. 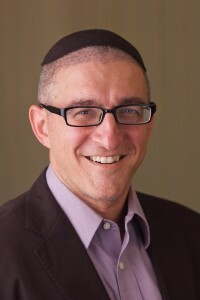 Previously, Rabbi Wolicki served as a communal rabbi in Fairfield, Connecticut and Newport News, Virginia. He is currently writing a commentary of the Hallel Psalms which will be published in the fall of 2017. Rabbi Wolicki and his wife Kate live in Beth Shemesh with their eight children. The weekly Bible commentator for FrontPage Jerusalem’s Bible on the Go segment as well as a blogger for both Charisma and Times of Israel, David Nekrutman currently serves as the Executive Director for The Center for Jewish-Christian Understanding & Cooperation (CJCUC) in Jerusalem, Israel. In this capacity, Mr. Nekrutman is breaking new ground in leading the first ever Orthodox Jewish institution to dialogue with Christians on a religious and theological basis. He also launched the Day to Praise in 2015, creating a global movement of Christians joining Jews on Israel’s Independence Day to recite Psalms 113-118 (Hallel). Prior to his work with CJCUC, Mr. Nekrutman served as the Director of Christian Affairs for the Consulate General of Israel in New York. He was instrumental in the successful launching of The Day of Prayer for the Peace of Jerusalem, The Israel Experience, The Christian Jerusalem Day Banquet, and The Watchman on the Wall program with Reverend Robert Stearns of Eagles Wings, resulting in millions of Christians praying & supporting Israel and the Jewish people. Prior to his calling in the field of Jewish-Christian relations, Mr. Nekrutman’s professional career ranged from working for the City Council of New York as a Legislative Analyst to e-marketing for a major high tech company in Israel. He received a Bachelors of Arts in Forensic Psychology from John Jay College of Criminal Justice and a Masters in Social Work from the University of Pennsylvania. In 2013, Mr. Nekrutman was accepted into Oral Roberts University’s Theology program, taking a Masters of Arts in Biblical Literature with a concentration in Judaic-Christian Studies. He thesis work is in the Hebraic Roots of the Holy Spirit. Mr. Nekrutman resides in Netanya with his wife and three sons.